Alka Dalal has been painting for over 25 years. When she was very young she realized she had a knack for drawing object art in her school in Bombay. However, she did not grasp her true passion for painting until a successful non-artistic career was well underway. She came to the USA in the early seventies and obtained her Masters degree in Science from New York University and Rutgers University. Working in the computer, business, and science fields and raising a family occupied most of her time. However, an opportunity arose for her hidden art passion to be answered once again, this time in the creation of her own design of wall pieces and clothes. Over the next few years, artistic juices flourished and she started engaging in the colors, rhythm, and pattern of art in every form. She began painting in oil. One of her first forays with oil was a large painting of a Bird of Paradise that came out as a masterpiece and started her on the road to her own Artists Paradise. This paradise depicts the world’s beauty on canvas, paper, and many other surfaces. She has now expanded her medium to include Water Color, Acrylics, Mixed media, Monoprint and Collage because of her talent of combining different media to create something entirely unique. Alka believes that her ability to work in oil, water or acrylic allows her many versatile and challenging ways to express her emotions. She uses painting as her own form of meditation too. Today, Alka is a professional artist in addition to running her own business in Creativity and Creative Internet Marketing. Her artwork has been exhibited in numerous art shows and she has sold paintings in all media all over the US. She has created original artwork in all media and she has, also, produced back lit art frames, greeting cards, bookmarks, clay board art, fabrics, scratched art and much more. New and novel ideas for art are Alka’s forte. Challenging art techniques and adding those to her portfolio is what she does the best. For example, a few years ago she added the latest famous One Stroke technique of Acrylic decorative painting to her repertoire. In addition to creating art, it is very important to Alka that she donate her art work for special causes every year. This gives her even greater fulfillment in knowing that her God given gift is not only being appreciated by others but is actually helping the less fortunate in the process. One of her paintings was auctioned off for $1000. 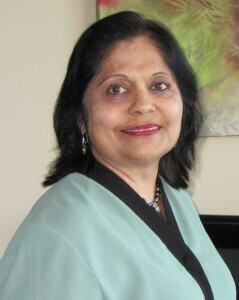 Alka has been Chair of the Exhibition Committee at JAINA convention held bi yearly in USA. Sharing her artwork with everyone is very important to Alka. Some of her original artwork can now be purchased as prints. These prints look nearly identical to the original piece of art and are very affordable. Another unique way Alka can share her artwork is through individually painted greeting note cards. Alka has had a great passion for contemporary and Abstract art in its combination with nature. This is evident in her artwork of different kinds. Her inspiration comes from a strong belief in God and hope for peace on earth. She began her Painting for Peace series in 2001, Going Green series in 2009, Conserve Our Resources in 2010. She is a member of www.Artshow.com and www. Artspan.com. www.Etsy.com, www.Artsyhome.com, www.Artslant.com. You can view her paintings on these sites.